For anyone who thought South African wine was getting boring and too dominated by established producers, last September's inaugural New Wave South Africa tasting – held in a Soho basement beneath a record shop – was an eye-opener. Table after table revealed eager young winemakers – a disconcerting number of them surfers - making eclectic, quirky, very personal wines. The motivation? A passion to be true to oneself, stress terroir and use grape varieties in styles that winemakers five years ago would never have considered, with the limited edition Rhone blends made by Pieter Walser's BlankBottle a prime example of this new style. “SA is in such an incredible place at the moment, it's so exciting! Across the spectrum of producers, we are starting to believe in what we are doing and developing our own identity. The likes of Jan Boland Coetzee, Neil Ellis and Eben Sadie have paved the way for a new generation. The sky really is the limit,” says Duncan Savage. The growing emergence of such winemakers demonstrate South African wine is in the midst of its most transformative era since the end of apartheid. But who are these guys? Some left established wineries to set up on their own, driven by the determination to do their own thing. Savage, who left Cape Point Vineyards to set up Savage Wines this year, says he always planned this but getting the requisite experience was vital, and took time. Savage reckons his time at Cape Point was invaluable, giving him the skills and understanding to create his own business, but says that once you are out on your own things are very different. Louis Nel, a winemaker at a number of wineries including Warwick and Vergelegen before setting up Louis Wines, agrees that going out on your own is liberating, but tough. “Suddenly you have to fill all the roles, from wine delivery to accounting and it is exhilarating. There are no limits to what you can do and learn,” he says, but warns that preparation is vital. “I was very lucky to work in many positions and learned from people like Neil Ellis and André van Rensburg. Every new job there was new world of wine philosophy and how to do things. I was very fortunate to learn from gurus, but there are many more I wish I could to have worked with,” he says. Mindful of the huge amount of work and insecurity of being your own boss, some winemakers have opted for the best of both worlds, working for themselves to make wines with their own distinctive stamp but remaining with the company that gave them their break. Miles Mossop, winemaker at Tokara and the current chair of the Cape Winemakers Guild, is a prime example, a few years ago starting Miles Mossop Wines with wines named after his kids, Max, Saskia and Kika. Another is Adam Mason, winemaker at Mulderbosch who has become a partner in Yardstick Wines, a Burgundian varietal collaboration with McGrath Collection chef Peter Templehof and Charles Banks, formerly of Screaming Eagle. He reckons that the 25 years that followed the end of apartheid have bought the industry to a crossroads. “It provided the space for the old guard to pass on the baton, and the new wave of viticulturists, winemakers and marketers to travel, find their strengths and apply themselves to the task of exulting our unique story” he argues. By contrast, some winemakers leave their original employ but then return, encouraged by enlightened owners who welcome diversity in wine-making as conducive to overall quality. Chris Williams left Meerlust fifteen years ago to set up The Foundry. He returned two years later to take over as chief winemaker at Meerlust and still does his own thing, to the benefit of both. In many ways, Bruce Jack was the forerunner of this movement. A winemaker who sold his original business Flagstone to Constellation back in 2008, Jack is once again a corporate winemaker - for Accolade Wines, which now includes Flagstone – but has a new venture called The Drift. Jack says that whilst there are many benefits to size – not least money, organisation, economies of scale and the ability to make a broad spectrum of wines – bigness can breed conservatism, which can lead to risk-averse, boring wine. Meanwhile although small producers can make exciting, very personal wines they can also have chaotic organisation, creating instability that can undermine the long-term success of the venture. “My multi-national, big corporate wine-making experience has taught me that planning, patience and structures are critical to success. I work hard to instil these things in my own small businesses,” he says. Mason believes the focus will shift towards lighter wine styles and to white blends. Others say the defining characteristics of the new South Africa will continue to be vitality, enthusiasm and sheer unpredictability. “Commentators often argue as to what direction SA should go in terms of style, variety, etc. I embrace the chaotic, experimental nature of this country right now,” says Chris Williams. The Cape’s largely Mediterranean climate provides ideal growing conditions for a variety of different grapes and styles and this effect has a noticeably benign influence on the region’s tourist industry, allowing wine enthusiasts to explore some of the most beautiful wine growing regions in the world. An international outlook has promoted the planting of all the main noble and secondary varieties, with the result that modern consumers are able to find almost every popular style of wine from the assortment on offer. 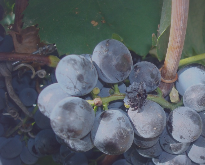 The country boasts its own grape variety – Pinotage (a 1920s crossing of Pinot Noir and Cinsault) – which is one of the most planted grapes in the Cape and a required component of popular Cape blends. Even Vin de Constance re-commenced production in the mid-1990s after a long absence, being made today in a delightful facsimile of the original old, slightly misshapen bottles. Latterly, the country has been keen to promote its credentials in terms of biodiversity, albeit that some of the all-encompassing W.O. delineations (Coastal Region and Western Cape come to mind) make it hard to decipher regional typicity. The Wine of Origin system, whilst nowhere near as rigorous as French appellation controlée regulations, provides a guide as to what is in the bottle – but this can be as precise as a Ward or Estate wine designation. In time, regional characteristics may triumph to the extent of being enshrined in further legislation, but for now, consumers tend to go for producer names they recognise and associate with quality and consistency. South African wine today holds its head proudly on the international stage, regularly winning awards and plaudits from leading commentators. Few restaurant wine lists now seem complete without a South African element and its winemakers frequently boast past experience working in some of the most esteemed wineries around the world. Black empowerment and undimmed enthusiasm on the part of investors look set to fuel this positive revolution for some time to come. This section of the site aims to comment on and taste (wherever possible !) exciting wines from South Africa. As with most producing nations, the real innovation and action here is taking place away from the cheaper brands with winemakers increasingly experimenting with more unusual grape varieties and new blends. We hope you enjoy our recommendations, which start below, and will be regularly updated. One thing of which South Africa’s wine industry is not short is inexpensive supermarket brands: Kumala, FirstCape, Fairhills, Eagle Crest…the list seems to be endless and growing, to the extent that for many South African wine has become synonymous with bargain booze. So at first glance the decision by Fairview to launch yet another brand – La Capra - into this crowded field seems surprising, particularly as the ex-cellar prices charged by the winery on their release last year suggested they would be giving other bargain brands a good run for their money. Yet La Capra – named after the annual La Capra festival held at Fairview to mark the arrival of spring – and coming soon to a supermarket near you, lays claim to being different. For one, the wines are produced by a winery and a man closely associated with quality and innovation – Charles Back - whose wines are amongst the best in the Cape. The discussion-provoking label, illustrating a goat carrying wine barrels, musical instruments and a carousing man holding a fork with cheese atop it, shows all that Fairview is famous for: the famous goats (of goats do roam fame) and the winery’s delicious cheese. The back label – with old-fashioned graphics suggesting the Big Top –reinforces the message: these wines are very much Fairview, as opposed to being some new and detached brand. Another difference is that the nine wines being rolled out are all single grape varieties, as opposed to the rather boring Shiraz-Cabernet or Chardonnay-Semillon type blend characterising most supermarket brands. This reflects Fairview’s desire to reach a rather more discerning supermarket clientele than their rivals – more Sainsbury’s than Tesco or Morrisons. The move would be in line with Fairview’s decision of a few years ago to forgo much of the highly competitive UK wine market rather than have to drop their prices to the extent required by wine buyers. The aim, initially at least, is to price these wines at around £6.99, although promotions will probably see initial prices at least rather lower than this. So how do the wines square up? An initial tasting of the 2008/2009 vintage suggests something of a mixed bag. My least favourite wine was the Pinotage, not because I don’t like Pinotage – I do, especially Back’s Fairview Pinotage Viognier and his Spice Route Pinotage – but the La Capra was just rather bland, and lacking in depth. Much the same could be said of the Merlot, with its soft-tannins and obligatory but rather one-dimensional blackcurrant and cherry flavours. The inclusion of a Malbec in this range was a welcome surprise, confirming the Fairview penchant for using unexpected grape varieties. The result though, was less impressive: the boisterous liquorice and blackberry flavours and strong, firm tannins that one associates with this wine were quite absent, although for the price this is still quite quaffable and a good conversation stopper for fans of Argentinian malbec. The other reds though, were more appealing: the Cabernet Sauvignon had a good albeit quite restrained nose with dry fresh fruit flavours on the palate and a surprisingly long finish for a wine of this price. So too the Shiraz, which had the requisite spice red berry flavours but without the fat, often over-ripe flavours which mars some inexpensive Australian shiraz. And the white? For me the two star turns were the Chenin Blanc and the Viognier, rather than the ever so slightly conventional Sauvignon Blanc and Chardonnay, although these two last were perfectly acceptable quaffers and would work perfectly as aperitif wines. By contrast though, the Chenin Blanc is an almost textbook example of what was once South Africa’s signature white grape; unwooded, with fresh apple flavours, this is a joy to drink. Similarly, the Viognier, though lean rather than fat in style, had all the fresh apricot and peach flavours one expects from this variety, and at around £6.99 is also very good value for money. So the conclusion? Given that this is a first vintage and that Fairview look certain to iron out any wrinkles in future years, this is a good and well-packed product at a fair price. These wines should easily find its place amongst its rather lesser rivals on our supermarket shelves. The only other whites worth of mention were the Kumkani Viognier Verdelho Sauvignon Blanc - three varietals this time, but the wine had lots of fruit on the nose and some interesting flavours on the palate, presumably courtesy of the Coastal region where it was grown - at £12.99; the Lourensford Viognier 2007 (£7) had potential but needed, I thought, more time, whilst the Tulbagh Mountain Vineyards White (£13.49, 69% Chenin Blanc, 15% Clarette Blanche - another unusual varietal - and 16% Viognier) stood out by virtue of being quite fat and well-bodied, with good structure and acidity. Reds? Well, amongst a disappointing bunch I would have to mention the Cloof Lynchpin, with its strong Merlot character (the grape comprises 71% of this wine), at £20 per bottle, and the pricey Vilafonte Series C from Paarl, comprised of 4 grape varietals and costing some £36 a bottle. Very tannic however. This was less of a problem with the Pinotage blends notably the rather good Stellenzicht Rhapsody 2006 from Stellenbosch. Admittedly not cheap at £24.50, this was a well-balanced wine with good sweetness, equally comprised of Pinotage and Shiraz. At the more affordable level I feel I should also mention the Lyngrove Shiraz Pinotage (respectively 70% and 30%) at £7.99 and - if only as a conversation piece, the almost-black Cloof Inkspot Vin Noir from Darling. Unlike some of the wines at this tasting, this at least didn”t take itself seriously suggesting it works well at barbecues and even “on the rocks”! Justin Keay, February 23rd, 2009.